You might think this advice came from a modern nutritional consultant working in southern California. Not so. Ya’ qub ibn Ishaq was an Egyptian-Jewish physician who wrote these words following a visit to Damascus in 1202. What this tells us is that people of medicine and science have known the healing benefits of nutrition for at least 800 years. The problem was nobody told me. As my recovery began to progress I decided to consult a professional nutritional scientist. I was lucky to have one on hand in Alison Maunder, a fellow member of the Balmoral Beach Club. Like Ya’ qub ibn Ishaq she is a devotee of bone broth as a vital ingredient of postsurgical rehabilitation. 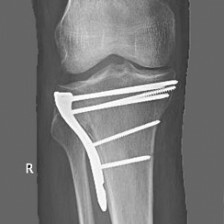 In June 2015 I was asked by fellow swimmer, Kieran Kelly, about the nutritional requirements of a person recovering from tibial plateau fracture and surgery. The context of the following recommendations is that Kieran, prior to his accident, had undertaken regular exercise and was not overweight. He was neither a smoker nor drinker. Thus, the following recommendations were not crafted as a weight loss program. They were designed purely to enhance post-surgical recovery and bone and tissue regeneration. I did not thoroughly examine Kieran’s diet although from conversations, I understand he consumes probably a bit too much fruit and definitely too much sugar and not enough green vegetables. As an antidote to the extensive antibiotic program he was on post-surgery, I recommended he begin consumption of bacteria-rich, fermented milk known as kefir. I understand he has incorporated this into his diet. He also told me that he has been taking a daily supplement of whey protein and magnesium, although this is related to assisting with muscle regeneration and rehydration from swimming. Kieran is not taking any other regular, medication other than Xaralto for blood thinning as a result of ongoing treatment for a deep vein thrombosis in his injured leg. The following recommendations should suit most postsurgical patients, although, before following them, people should check carefully for any potential allergic reactions. If in doubt, consult your doctor. Diet should be clean, fresh, homemade and high in fruits, vegetables and vegetable proteins. Adequate protein is essential for proper wound healing, bone and tissue repair. Limit red meats and favour fish, eggs, legumes, nuts and seeds for protein. Keep fat intake low and fibre high. This will support bowel and liver function. Good sources of water-soluble fibre:Pears, oat bran, apples and legumes. It’s also beneficial to eat vegetables from the cabbage family—especially broccoli, Brussels sprouts and cabbage—as well as artichokes, beetroot and carrots. Good sulphur-rich foods: garlic, onions and egg yolks. All of these foods contain compounds that aid in detoxification. Add them to your diet whenever possible. Ensure proper digestion is maintained. Squeeze ½ lemon or 1-2 tsp apple cider vinegar in water before meals. Eating probiotic rich foods (such as kefir, sauerkraut, kimchee) will help the body digest all foods and assimilate more nutrients. If needed, add prune juice, ground linseeds and chia seeds daily to avoid constipation. To develop and maintain bone mineral density, optimal intake of all nutrients essential to bone formation and homeostasis is required. Like all tissues, bones need protein and they need minerals. Not just calcium but also phosphorous, magnesium, zinc, potassium, manganese, silica, selenium, boron, vitamin D, vitamin K – among others. Calcium – Dairy is the most common food source of calcium but by no means the only food source or even the best food source. There are many nutritious and dairy-free foods that are an excellent source of calcium such as whitebait, tinned salmon and sardines, tofu, dark green leafy vegetables (spinach, broccoli, bok choy), tahini, almonds, dried figs. Magnesium can be found in green leafy vegetables, unrefined grains, legumes, beans, and nuts. Phosphorous – most animal & plant foods are rich in phosphates. Zinc food sources include oysters, pumpkin seeds, sunflower seeds, whole grains, cashews. Vitamin D is synthesised by the action of sunlight on the skin and small amounts can be found in fish liver oils and egg yolks. Vitamin K1 is always of plant origin and is found in dark leafy greens (such as kale, collard, and swiss chard), cruciferous vegetables and sea vegetables. Vitamin K2 only occurs in foods of animal origin or foods altered by bacterial fermentation such as natto. Bone broth, otherwise known as the peasant’s superfood is the perfect food. It is an excellent source of calcium, phosphorous and many other minerals as well as a range of amino acids. These are important for bone repair, digestion, skin health, nervous system health and wound healing. Furthermore in this form, these nutrients are easily absorbed. Bone broth can be consumed simply or used in cooking casseroles or steaming rice/quinoa. Several nutrients are important for the promotion of healing. Vitamin C plays a major role in the prevention and repair of injuries, bone metabolism especially in the synthesis of collagen which forms the structural framework of bones and also immune function. In addition to vitamin C, vitamin A, zinc, vitamin E, and selenium are important, not only for their wound-healing properties but also for their antioxidant effects. Flavonoids, a group of plant pigments responsible for the colours of many fruits and flowers, are extremely effective in reducing inflammation and strengthening collagen structures. Collagen is a major protein in tendons and other connective tissues. Dietary sources of flavonoids include tea, fruit, vegetables, and legumes. Bromelain, the protein-digesting enzyme complex of pineapple, has been reported to exert a wide variety of beneficial effects, including reducing inflammation, bruising and preventing swelling after trauma or surgery. It is found in fresh pineapple & especially the core. Curcumin, the yellow pigment of turmeric, possesses excellent anti-inflammatory and antioxidant effects. One concern regarding curcumin has been absorption, but there now exist a number of supplements that enhance the absorption of curcumin by complexing the curcumin with phospholipids. Otherwise try “golden milk” an Ayurvedic remedy which is a relaxing drink before bed. 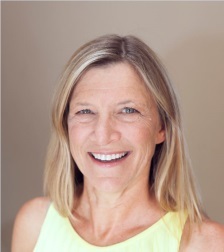 Alison is a qualified natural medicine practitioner with a Master degree in Herbal Medicine from University of Sydney, Blackmore’s Prize for Excellence in Herbal Medicine, Advanced Diploma in Naturopathy and Advanced Diploma of Western Herbal Medicine. She also completed a Master in Medicine (Reproductive Health & Human Genetics) at University of Sydney. As a member of NHAA, she is a listed practitioner with most private health funds. She practices at Sydney Health & Fertility in Manly. Alison enjoys a busy family life and in her spare time participates in ocean swims. This guide is not intended to provide medical advice or to take the place of medical advice and treatment from your personal physician. Readers are advised to consult their own doctors or other qualified health professionals regarding the treatment of their medical conditions.